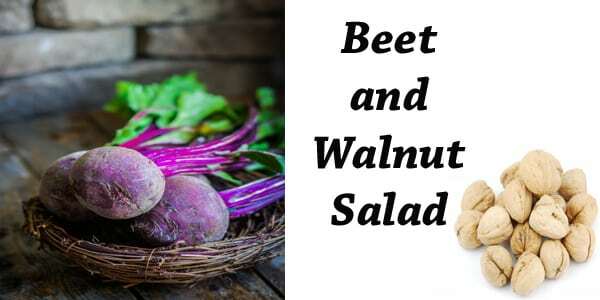 Cube the beets and the apples and mix together ina bowl with the cheese, walnuts and scallions. Drizzle dressing over and stir to coat. Serve on a bed of butterhead lettuce.